At Snider Veterinary Services we understand that even the smallest pets still deserve high quality care. 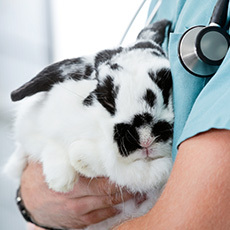 Our veterinarians are eager to help our rabbit and ferret patients get the care they need. From routine checkups to special veterinary care when these small pets aren't feeling well, our team is here to help.